Here is a portrait of the animal in our family. This time is not me. 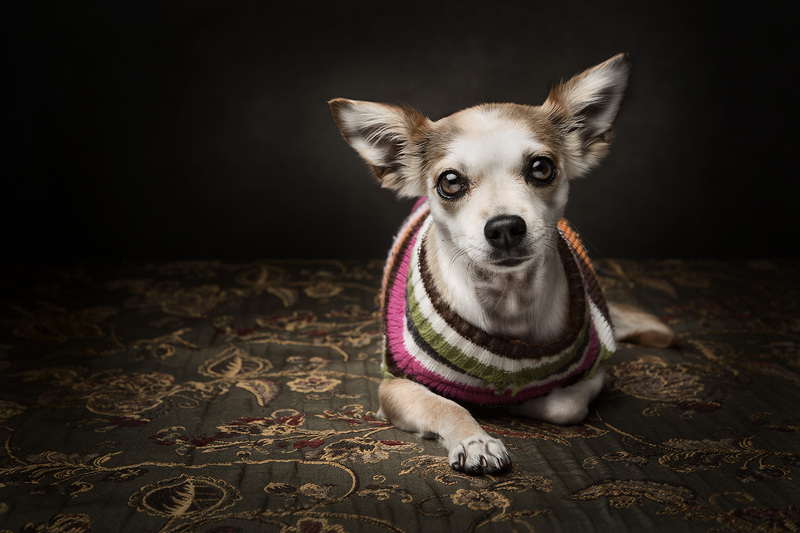 Our little Chihuahua dog, named Peggy got her dog portrait session. Taking a portrait of certain active dogs is not the easiest of the tasks. Of course our Chihuahua was not the exception. After moving around for a long while here is one of the few shots I was able to rescue. For this dog portrait I used a Canon 5D Mrk III with a Canon ef 24/70mm f2.8 L set at 48mm f8.0 ISO100 and shoot at 200th. The light was a Paul Buff Einstein with a 36″ octabox with a grid. This entry was posted in Family pictures, Photo of the day, Portraits and tagged alex elias, Canon 5D Mark III, dog portrait. Bookmark the permalink. ← Self portrait. Half winter Half summer.